Marlo here. I've just come back from my annual NESCBWI conference, which was wonderful as always. 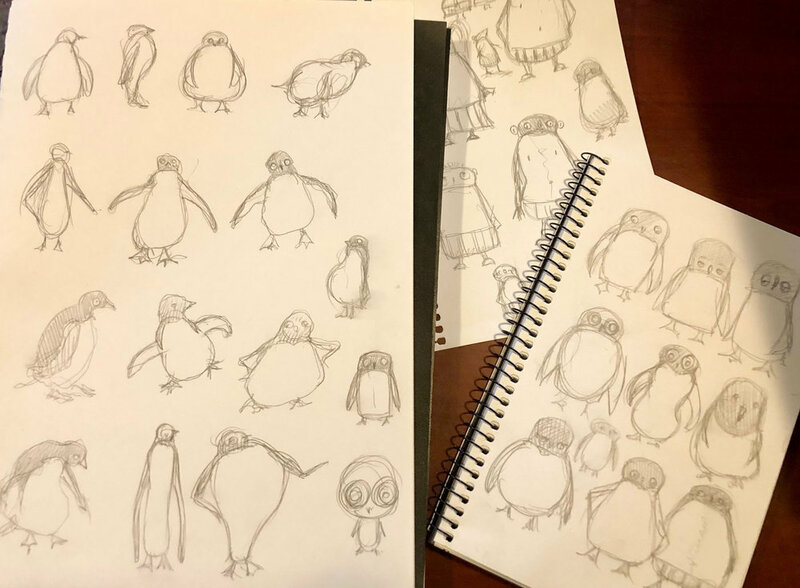 I attended my buddy Russ Cox's session on character design on Friday, which really got me thinking about not only character design in general, but the design of our penguins. Russ, who is a master of character design, had us try a progression of speedy, unexpected drawing experiments, which immediately pushed me to draw in ways I usually don't. They allowed me to loosen up and explore in ways I hadn't considered. I hope to create a place in between for our animations. Now, back to the drawing board!